Stephen Covey’s book “The 7 habits of Highly Effective People is one of the best selling ‘self help’ books available. It is a tool that helps people make positive changes to their life by self assessment and evaluation of your own performance, and allows you to change your habits to achieve your personal goals. It is a ‘principle’ based program, so is applicable to everyone – from stay at home mums and dads to corporate executives. What is a paradigm? [pronounced para-dime] A paradigm is a model, a perception or understanding. It is only by seeing things based on the correct principles that we achieve success and happiness. In order to understand paradigms, Covey encourages us to think of them as maps. They aren’t the solution, merely a representation of how to get somewhere. For example, suppose you have arrived in Sydney and need to attend a meeting. You need a map to find the venue. Imagine you have received a map of Melbourne incorrectly titled ‘Sydney’. Work on your behaviour – Try harder and work faster. RESULT: You get nowhere faster. Change your attitude – Think positive and be happy. RESULT – You are happy but still aren’t going to find your meeting. SOLUTION – YOU NEED THE CORRECT MAP! What is a paradigm shift, and how do you make one? A paradigm shift is a change in the way you perceive something. You can become aware of other people’s perceptions by listening to their explanation of their ‘map’. You may decide that you will adopt their map, you may adopt parts of it or you may disregard it completely, but unless you consider that a better alternative exists, you can never improve your map. Paradigm shifts can be positive or negative and create powerful changes in our lives. It is our paradigms that determine our attitudes and behaviour and ultimately our relationships with others. Change the approach to change the result! The 7 habits is a paradigm shift in itself. 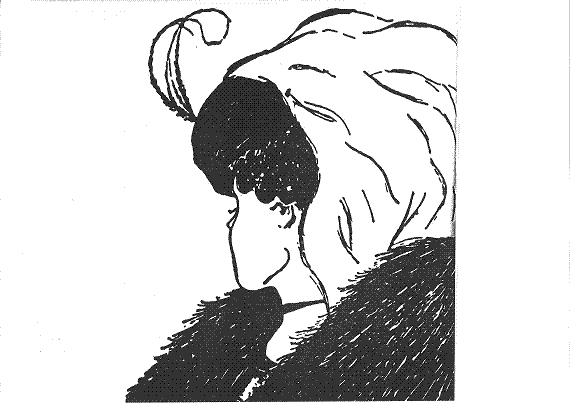 For example, you’ve probably already seen this drawing – but what do you see? 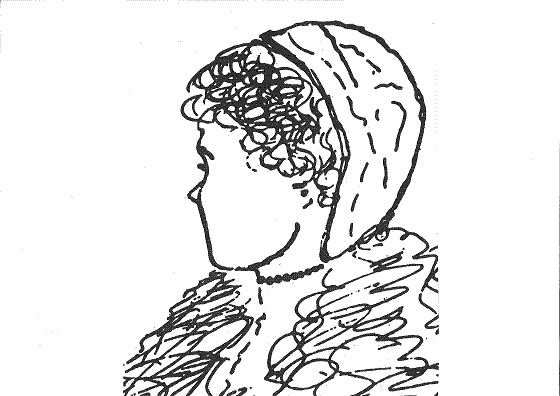 What you see is a result of your conditioning and determines your attitude and behaviour towards the woman in the drawing. If 10 seconds can determine what you see in that drawing, imagine what affect a lifetime of experience will have on your perception! Neither perception is incorrect, yet, if you can’t acknowledge that another alternative exists, you would continue to believe that anyone who sees the other woman is wrong because their perception is so clear. What is a Principle? A principle is a natural law that governs human growth and happiness. Examples include fairness, integrity, honesty, dignity, service, excellence, potential, growth, patience, nurturance and encouragement. These are guidelines for achievement. Where your paradigms are the directions on your map, these principles are your landmarks that confirm that you are on the right track and that you have the correct map. The 7 habits is a principle. What is a habit and how do you change one? A habit can be defined as an intersection of knowledge, skill and desire. Unless you possess all 3, a new habit cannot be created. For example, creating this website – If I have no knowledge, then what do I write? With no skills, I cannot explain my understanding and with no desire I would not be take the time to do it! The 7 habits paradigm presented by Covey is based on the concept of the maturity continuum. Dependence – The concept that YOU take care of me. I depend on you to survive and to achieve things. Independence – The concept that I can look after myself. I rely solely on myself, I no longer need assistance. Interdependence – The concept that WE can do things. That our talents and abilities combined create something greater. Perfect examples of these stages are from your life experience – you start as a baby and cared for by your parents. You grow up, move out of home and sustain yourself. You find a partner to share life experiences. …or an experience at work - you start as an apprentice and learn the trade from experienced mentor. You do things unsupervised, complete your duties without direction. You reach a stage where each individual contributes their strengths to a team atmosphere to produce a better result. Only once the first of the 7 habits have been mastered can you advance to the next. There are no shortcuts - you cannot walk before you can stand and you cannot run before you can walk. The value of self-awareness Humans have a uniquely valuable ability to think about their own thought process. It allows us to stand apart and see ourselves – our self paradigm if you like – and determines our own attitude and behaviour, and how we see other people. How you feel about yourself determines the image that you project onto others. Until you consider how your actions appear to them, you cannot evaluate why they think and respond the way that they do. If our only vision of ourselves is from the social mirror, then our perception of ourselves is tainted by projections of other individuals weaknesses rather than a reflection of your own actions. But we all have the ability to choose our response through self awareness. If your response is the product of conditioning throughout your life, then you can condition yourself to respond in a manner determined by you. Responsible people do not blame circumstances. They acknowledge that in choosing their response, the consequences attached to that choice belong to them. This is the concept of proactivity and is the first and most basic habit of a highly effective person. To be proactive is to be responsible for your own life. Your behaviour is a function of your decisions, not your conditions. The performance of proactive people is not determined by external factors such as other people or unfavourable conditions because they have selected their response with the aim of achieving a particular goal. Similarly, optimism and positive responses breed positive outcomes, as occurs in sport, massive swings of power are determined by positive and negative emotions. The same exists in everyday experiences but the scoreboard is not as defined. Well, that's my wrap up of the 7 habits according to Covey.